Many of the photos were selected from the “Good Ole Days” – a series of very old class photographs published by the Carroll County Times in the early 1960s, although this project does not include every school photograph in that series. 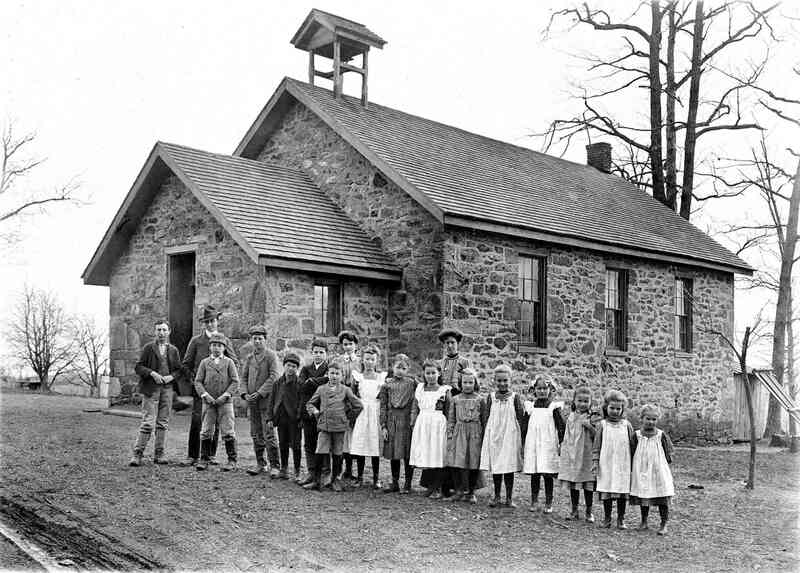 Other school photographs came from private collections or from other newspapers which also covered Carroll County such as The Carroll Record (a Taneytown and Hampstead paper no longer published), the Union Bridge Pilot, and the Hanover (PA) Evening Sun or the Hanover Sun. The photo quality ranges from excellent to very poor and the images are the best currently available. Some photos do not have names attached. Photos extracted from the Carroll County Times Archive (available on the Carroll County Public Library website) tend to be of poor quality because of the processes involved in creating the Archive. Scans of old newspaper clippings from the school files at the Historical Society of Carroll County are generally better, but still suffer from reproduction. The best images are usually those from private collections where there was access to an original photo or a good copy. Please keep in mind that the persons listed in the captions might be incorrect since many years may have elapsed between the time the photo was taken and identifications were made. Occasionally, a name appears twice in the same photo. I wish better copies of the photos were available, but this is all that are currently available. Thanks to Mimi Ashcraft for tracking down newspaper clippings in the school files at the Historical Society of Carroll County and providing the location and current status of the school buildings where possible. It is hoped this project, as it grows with input of additional photos and names, will provide another piece of the history of Carroll County and allow you to see your ancestors, their friends, and classmates from earlier times. If you wish to check for possible coverage of additional schools and their students, contact the Carroll County Genealogical Society or the Historical Society of Carroll County. If you possess good quality old school photos and want to contribute them to this resource, you can also contact CCGS at: info@ccgsmd.org . You can access the Carroll County Times Archive covering newspapers from the years 1911-2015 on the Carroll County Public Library website to see more photos.